Whilst speaking to potential prospects and customers, one fascinating question always rises: how will the density functionality improve my work? Read on to clarify how our measurers utilize the density function when using Timbeter. 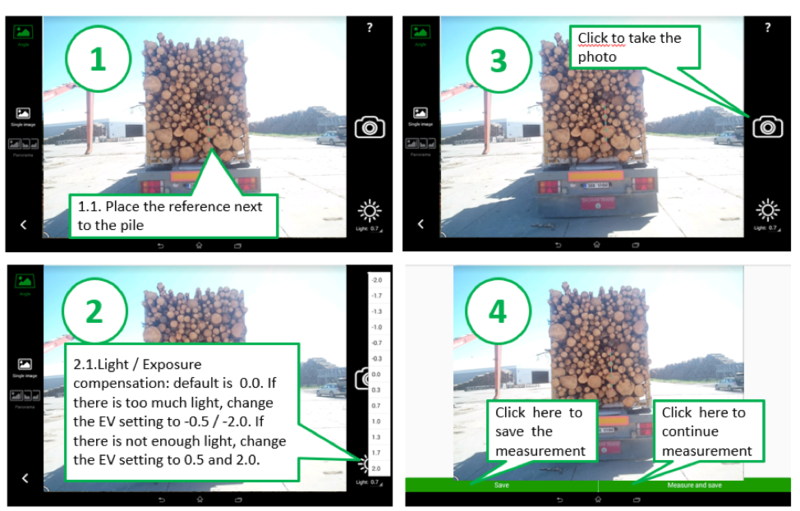 After measuring the total volume (bruto) of the log pile, they use a table containing various coefficients and choose one to be applied. 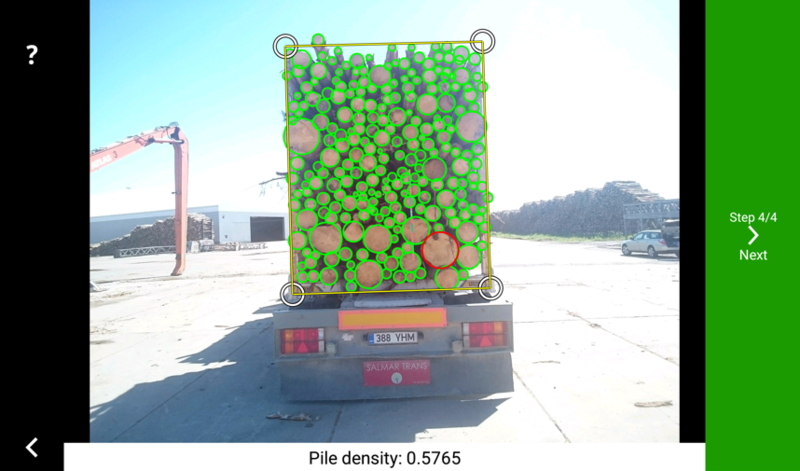 By multiplying the total volume for the coefficient, they determine the neto volume of a pile, meaning that, by this method, they have an approximation of the amount of wood they have in a pile. Another method requires the use of a set square. Again, after measuring the total volume, the measurer uses a 1×1 meter set square to localize one area inside the pile. Then, the number of logs will be measured, giving an average, that will be multiplied by the whole pile. By using Timbeter, the method of measuring the number of logs inside a pile is more straightforward and quicker. By entering the menu and taking a picture of the pile, the user will not only reduce the time taken to measure but will have a more accurate coefficient. 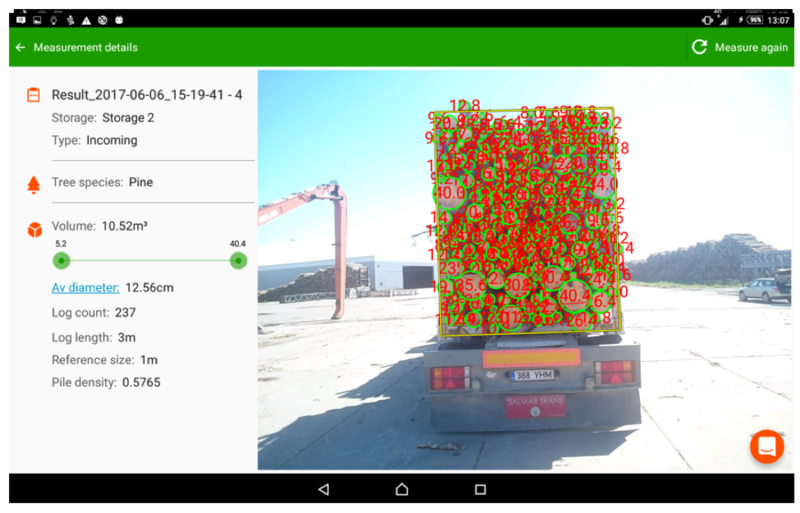 After taking the picture, the user can add a specific area inside it, which will be the marker for the density, making it possible to see the results in a decimal number. 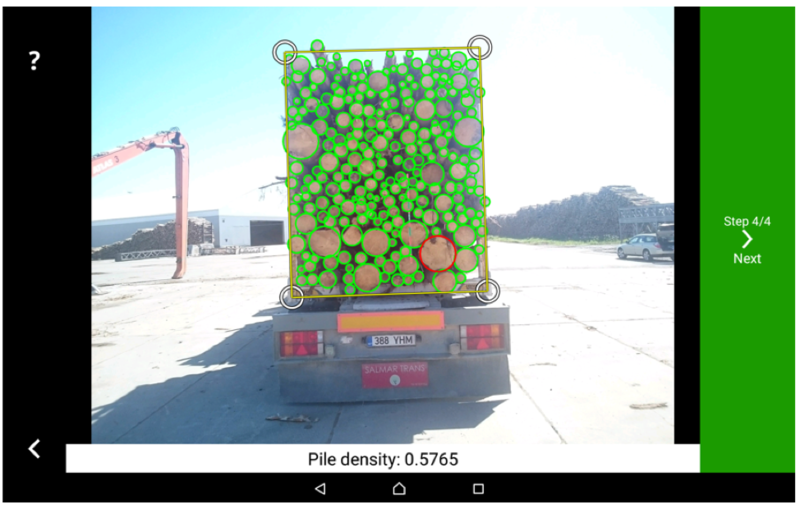 The density function is a fascinating complement to the in-app pile or truck measurements. 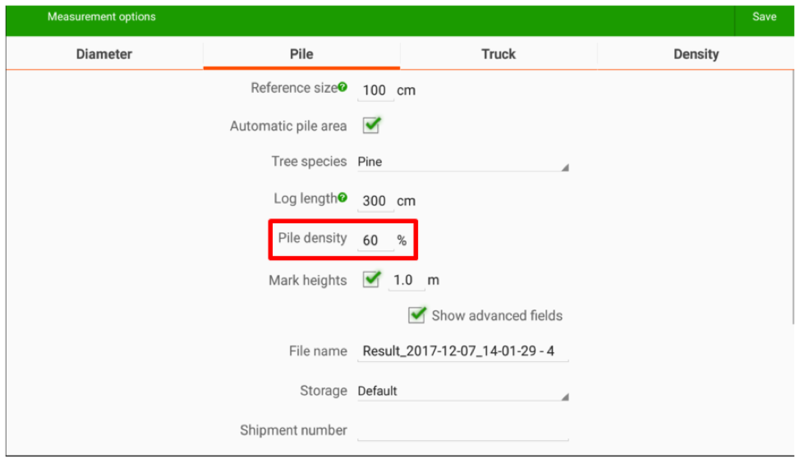 When you measure the pile density, you can insert the result to the “pile” measurement mode, giving a more accurate result for the pile itself. Plus, all the information provided is available in the storage module, so it’s possible to recheck and remeasure when required. Converting the results from the density measurement to the pile or truck is easy. Merely convert the decimal numbers in the density function to the percentage equivalent on the pile measurement – for example, a density result of 0.41 becomes 41% in a pile. Meaning that the pile has 41% of the wood measured. In the storage module, you can compare results, download reports and organize your inventories. It’s possible to share the results with your team or with commercial partners. Timbeter’s mission is to provide users with a more accurate and faster service, fewer disputes and trustable digital data. 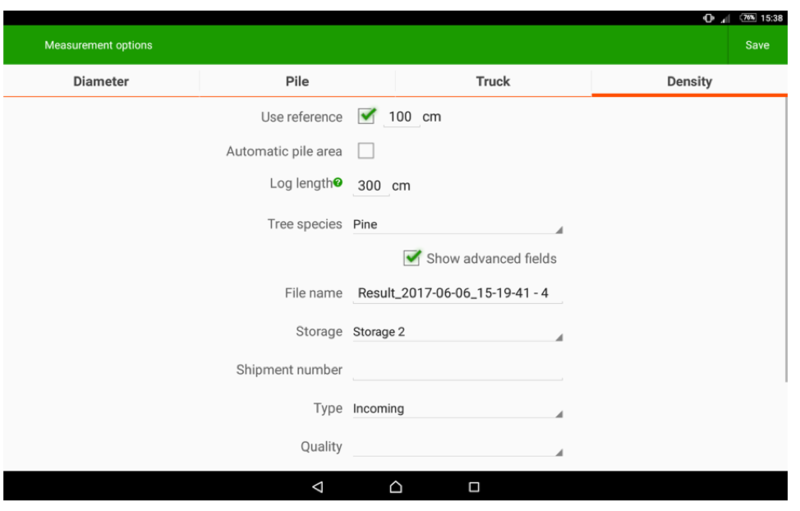 With this uncomplicated step-by-step guide, users will be able to measure the density of the pile quickly. 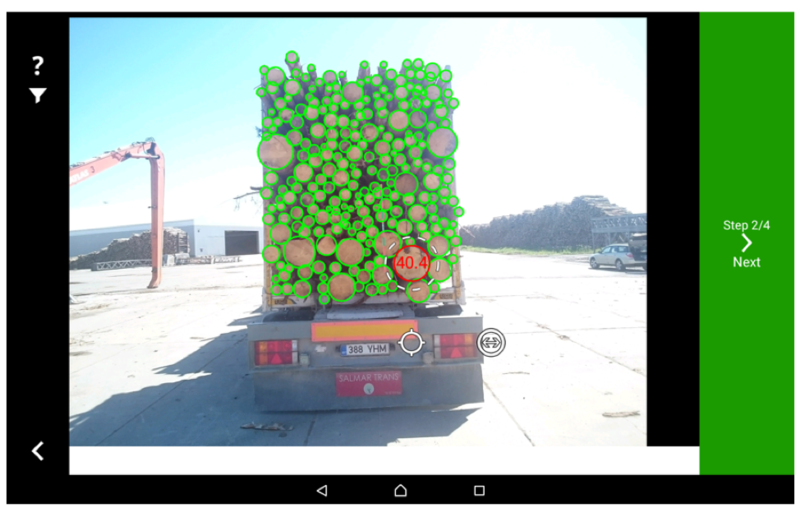 The result can be applied to either a pile or truck measurement, both providing an accurate volume. The final results can be utilized in both the pile or truck measurements. It’s far more accurate than using tables or measuring via hand. Start measuring today! If you have any doubts about our functionalities, feel free to contact the team!